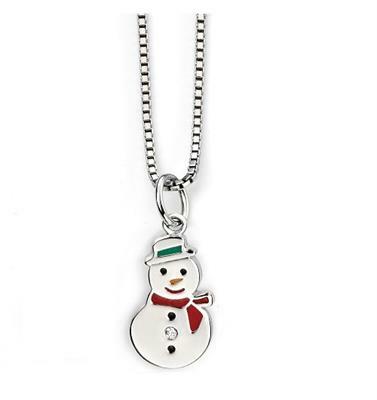 A cute white and red enamel D for Diamond Snowman pendant for girls in 925 sterling silver, perfect for the winter months. A little diamond shines in the centre of the snowman's tummy. Hung on a sterling silver 14" chain. The pendant is rhodium plated to prevent tarnishing.